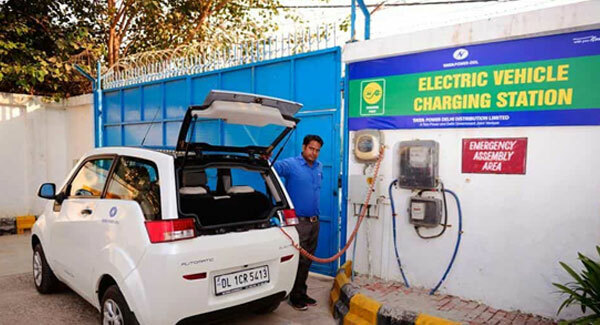 The Centre will soon allow individuals to set up their own EV charging stations. No license will be required, although the stations will need to fulfil standards notified by the Power Ministry. However, the tariffs the station owners can charge from EV owners are likely to be capped by respective state governments. ChargePoint (partly owned by BMW and Daimler), one of the world’s largest EV charging grid firms, plans to split a major expansion plane equally between Europe and its home market the United States. The company is aiming for 2.5 million charging points globally by 2025. Europe is seen as potentially moving more quickly to electric vehicle adoption than the United States after President Donald Trump pulled out of the Paris climate agreement. China-based company BYD will supply and maintain 25 electric buses in Pune. As many as 125 electric buses are expected to join the Pune fleet on January 26 next year. The company will supply and operate 25 nine-metre-long buses for the transport utility. The fleet will be a mix of 12m and 9m long buses. Volkswagen plans to convert its factories in Germany’s Emden and Hannover to build electric cars, German daily Handelsblatt reported. The carmaker is preparing to ramp up sales of electric cars as it struggles to make its combustion-engined vehicles comply with more stringent emissions rules introduced in the wake of a diesel-emissions cheating scandal.